As we take more sinus meds and smell the pollen, it’s time to start talking about an annual rite of passage for most in the GovCon world. 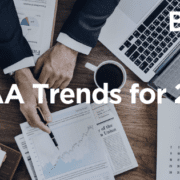 The annual incurred costs submission to DCAA. While many might think a sinus infection sounds like more fun (and we tend to agree), now is the time to start planning on your submission. The Incurred Costs Submission (or ICS) is due 6 calendar months after closing your fiscal year, which means many are due on June 30. FAR 52.216-7 Allowable Costs and Payments requires submissions of annual final cost rates. 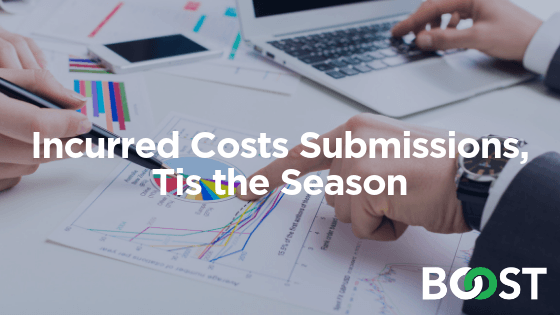 The ICS (or sometimes called ICE, which is the Incurred Costs Electronically Model, the actual excel spreadsheet that is submitted) determines the final actual indirect cost rates that a GovCon incurred for the previous year. These rates are used to “settle up” on the contract, particularly CPFF type contracts. Most GovCon accounting systems actually prepare this report. But if you think it’s as easy as running it and submitting, you would be wrong. Now is where the rubber hits the road in terms of what your accounting and contracts departments have been filling out in the accounting system. Suddenly you find POC info isn’t in the system or that you’ve missed a task order change or any number of things that you need to QA. Prepare to spend a decent amount of time on reviewing the information, going back to your contracts and accounting files and making sure everything is legit. Fix this by maintaining records of all your costs. Make sure that they are stored on the company shared files, not on someone’s laptop somewhere. If your controller leaves the company, you still want to have the backup required to argue for allowability. You could leave money on the table by not having this documentation. Schedule H seems to be the biggest issue on Incurred Cost Submissions – specifically not providing enough detail to justify the costs. Putting one line-item for a huge IDIQ isn’t going to cut it. If this is the first time you realize that you owe the government money back or need to send a huge bill, you are doing it wrong. Nothing in this report should be a surprise nor should any of these numbers be new. As one who has lived with an $800,000 CREDIT to the government (seriously), it impacts all areas of the business – contracts, operations/program management and accounting. It could impact BD/Capture’s ability to win more work with a customer if you become known as the contractor who couldn’t budget your indirect rates. Every department needs to know what the bottom line is and the impact. 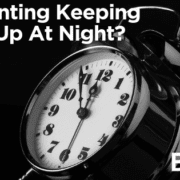 Accounting Keeping You Up At Night?